Merely having revenue targets and a revenue plan doesn’t guarantee success—you still need to actually hit your revenue goals. Fortunately, there are things you can do today—and throughout the year—to improve your chances of actually hitting your revenue goals in 2019. Let’s take a look at the tips, so you can choose the ones you want in your arsenal. 1. Start with a “reality check” on your revenue goals. 2. Identify your key positive and negative success factors. 3. Focus your 2019 business strategy on addressing those key factors. 4. Create systems to help you monitor progress. 5. Make adjustments as you observe deviations. Let’s dig into each one, including sub-steps and potential solutions! Are you trying to grow faster than you’ve ever grown before, or are you expecting to hit a third or fourth consecutive year of rapid growth? Be careful. Growth rates are hard to sustain as you grow—growing 60% from $5MM requires far more new revenue than growing 60% from $500,000. And if you don’t have any track record at rapid growth, you’re likely to be burned by things you didn’t know to anticipate. When I do Agency Roadmap projects for clients, I focus on creating a strategy to help agency owners reach their goals faster and more smoothly than if they handled things on their own. This includes identifying the most impactful activities—because not every activity is easy. Not everything is a Pareto Principle situation—that is, 20% of your effort won’t always produce 80% of the results. But you want to be sure your efforts pay off, and some things pay off more than others. This includes identifying both positive success factors (things that will help you do well) and negative success factors (things that will fight your progress). Those success factors are unique to each agency, but many are common across firms. Let’s take a closer look at some “likely candidates” to consider. 2a) Compare the “units sold” in 2019 to the same figure in 2018. As I shared last week, this is part of creating your revenue plan—how many projects and/or retainers do you need to sell (and fulfill) to hit your revenue goals? If you need to handle significantly more than 20 clients at once, you’re going to exceed my ideal active-client count benchmark. Potential Solution: Raise your prices to help you keep your client count from exploding into an unprofitable Client Dilution problem. 2b) Dig into the hiring implications of your revenue goal. Are you averaging at least $150K in revenue per FTE? If not, you ideally want to find ways to get more revenue from your current team. If you’re at $200K+ in revenue per FTE, you’re in good shape. and can likely hire without negative impacts (assuming the new hires hit their goals, of course). If you’re reliant on hiring a salesperson—especially if they’re your first salesperson—be careful. Sales hiring is tricky, and the wrong hire can mean the difference between a growth year and a flat year. Potential Solution: Evaluate your hiring needs, including which roles to hire and when to hire them. This may include milestones for when to hire vs. when to wait. 2c) Look for “Wet Twine” on your current team. Potential Solution: Create an employee census listing every team member, and code them by whether they’re New Rope vs. Wet Twine. If you have more than one Wet Twine employee, your revenue goal is at-risk. 2d) Compare sources of revenue (e.g., new vs. existing). Are you relying on revenue from clients you’ve never worked with before? You’d better have a strong sales and marketing machine—or else you won’t be able to keep up with the lead-gen and sales process demands. Potential Solution: Weigh the mix of new vs. old revenue sources, and look for ways to risk-manage things. One option is to hedge your bets. For instance, if you’re relying on three new revenue sources, set goals that will help you succeed even if one fails entirely. 2e) Compare the nature of your services (e.g., new vs. existing). We all know there’s a whole process for adding new services, but progress is typically slower than you expect. Is your revenue plan based primarily on upsells and new sales of well-seasoned services? All things considered, those are more likely to happen than revenue that depends on new services. Potential Solution: Look for ways to risk-manage this, especially if your growth goals require lots of new-service revenues. You’ll want to launch things as soon as possible—but not too soon—including milestones to create an “early warning system” to know if things are off-track before it’s too late to adjust. As you build your strategy for 2019, be sure you incorporate solutions to promote your positive success factors… and reduce your negative success factors. 3a) Front-load your biggest initiatives early in the year. If you put it off until Q3 or Q4, you’re creating avoidable risk. And if you know you need to wait that long—and your revenue plan is dependent on those initiatives succeeding—consider whether the goals are truly doable. Potential Solution: Schedule your biggest initiatives for Q1 and Q2… and if you can’t, adjust your expectations accordingly. 3b) Set higher “reach” goals for early quarters in the year. Organically, your quarterly goals tend to rise as the year progresses—for instance, if you want to grow 50% this year, Q4 is likely 40-60% higher than Q1. But there’s one problem—hitting a low goal early doesn’t convey whether you can successfully hit a higher goal later. This can produce a rude awakening if Q3 or Q4 go poorly, and you don’t hit your annual revenue target in the last stretch. Potential Solution: Set Q1 and Q2 “reach” goals that are closer to your Q3 and Q4 baseline goals. If you hit those early “reach” goals, you can feel more confident about hitting your baseline Q3 and Q4 goals. And if you don’t, you know you’ll need to push harder as the year unwinds. This is where the rubber meets the road—where you build monitoring systems to help you measure progress toward your revenue goals. After all, if something’s off-track, you want to know while you still have time to fix it. 4a) Load your budget into your accounting software. Once you have your budget, it’s important to load it to your accounting software. That way, you can run a “budgeted vs. actual” report to know whether you’re on track (and can relax a little) or if you’re off track (and need to step it up). Potential Solution: Load your budget—including each month’s revenue target—to your accounting software so you can monitor your progress. 4b) Create a cadence for monitoring your KPIs. When an agency owner says they don’t know their net profit margin, I’m worried—net profit isn’t the only KPI to track, but it’s a pretty fundamental one. As we dig in, I’ll often find that profitability isn’t what they assumed it was, and other KPIs are “off” as well. Don’t focus on too many KPIs—that can lead to not focusing on anything at all. How often is right for you? At minimum, I’d review things monthly. Quarterly reviews are helpful because they “smooth out” monthly variations, but waiting that extra 1-2 months can mean you lose time to take action. 4c) Recruit an [external] accountability partner. Although not impossible, it’s hard to hold yourself accountable—we lack perspective on ourselves, and it’s hard for anyone to successfully project-manage their own work more than a few days at a time. I take this to heart. Even though I’m a business coach, I have my own coach. And even though I was previously a project manager handling six-figure projects, I have a team member who serves as my PM. I’m still responsible to myself for meeting my commitments, of course, but that extra layer helps a lot. They, and others, help me stay on track. This works best when your accountability partner isn’t someone you work with day-to-day. You likely pay more attention to what your external accountant says as opposed to what your operations director says. Why? Because you see your ops director daily, while you meet with your accountant occasionally. It’s a bigger deal when that external partner asks how something went. Potential Solution: Pick a partner to help you stay accountable. This could be a friend or the owner of a “frenemy” agency, but that relies on their being willing to hold you accountable. I like having something I pay in this role, because it’s their job to ask me if I’m on-track. That person might be your accountant, your business coach, or another external paid advisor. Create a cadence for their check-ins, too. The earlier steps give you a lot of structure to help you actually hit your goals. But revenue goals, planning, and monitoring isn’t enough—you have to take action promptly when things go off the rails. Your specific adjustments will depend on your goals and initiatives, and how far things have slipped. Potential Solution: Collaborate with your team on “Plan B” solutions if things aren’t working. Similar to having a crisis communications plan before you need it, you might draft some backup plans at the beginning of the year. Doing a “pre-mortem” (reviewing what might go wrong, before you start) can help. It also helps to have flex time in your quarterly executive meetings—half a day or a full day that you reserve for handling whatever might come up… because something always comes up. Whew! That’s a lot to consider, but the more you apply, the higher your chances at hitting your revenue goals in 2019. Recruit team members to help—as the agency owner, you’re ultimately responsible for the results, but life’s easier when you have New Rope colleagues supporting you. 1. Understand why to set revenue goals. 2. 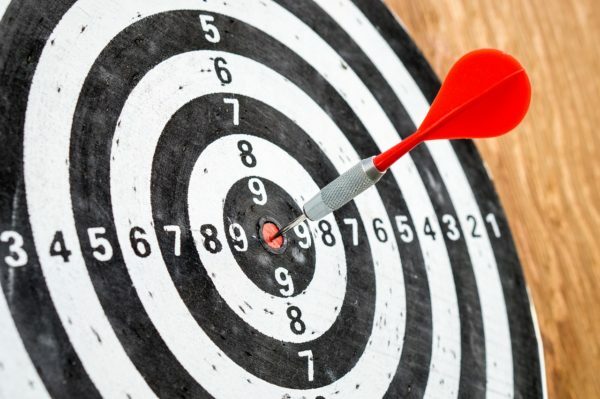 Set your revenue target. 3. Create a revenue plan. 4. Make choices to maximize your chances of hitting your revenue goals. Good luck and best wishes as you prepare your agency for a successful 2019! Question: What are you going to prioritize at your agency to hit your revenue goals in 2019?